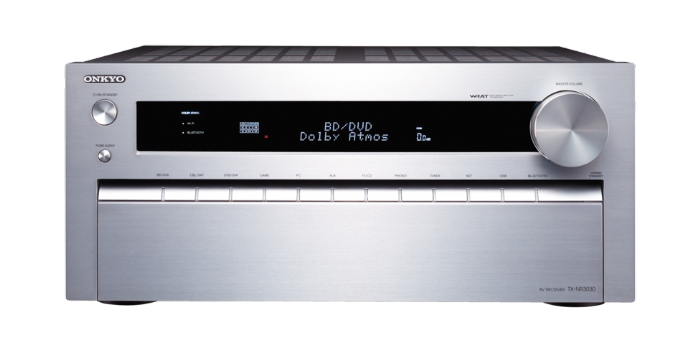 the TX-NR3030 serves up revolutionary Dolby Atmos® surround-sound complete with liquid 4K video at 60 frames per second. which creates a plane of sound over the listener’s head. via NAS/PC and limitless streaming from your smartphone. and seven top-of-the-line 32-bit Burr-Brown D/A converters.